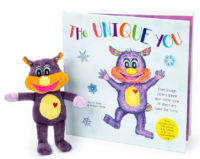 Sandra's latest Book "GPS for Success"
Sandra's latest Children's Book "The Unique You"
Welcome … Thanks for landing on our page. What if… “That which you are seeking is also seeking you?” You aren’t here by accident and our meeting is not by chance. Are you looking for inner peace, health, intimate relationships, joy, connection, and an abundance of good things? You have come to the right place. 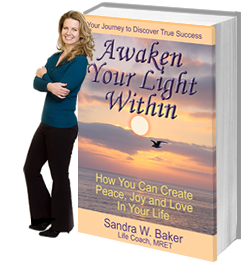 My name is Sandra W. Baker, my specialty is “Connecting Heaven and Earth.” I am here to assist you in creating a life of purpose and passion through waking up to the truth of who you are, Your Divine Self. Your time is now! Through a simple process called Awaken Within we get to your core issues very quickly that are sabotaging you and provide tools to transform them. You’ll discover your soul’s higher learning from the painful experiences you came to earth to clear and transform them to “Messages of Love. You’ll learn how to reprogram your mind through a technique called Meditate on the Go, where you will begin immediately to create a life full of love, prosperity, passion, and joy. With the assistance of Rapid Eye Technology we can release any negative programming, trauma or stress that is keeping you stuck or in pain. We are able to honor your current limitations, release them, and anchor in new belief systems that allow transformation to occur as fast as you are ready. Emotional blocks disappear and Physical, Emotional, Mental and Spiritual healing become accessible. We put together a plan to re-create an amazing life of health, passion, peace, and joy.This process is simple and it works! Note here…. Simple does not necessarily mean easy, although it does get easier the more you practice new ways of living. It worked for me 23 years ago and it has worked for 1000’s of my clients over the past 18 years. We offer many solutions through one on one coaching in person, FaceTime, Messenger, Skype, What’s App or the phone. We also offer a plethora of free information, videos, tools, books, and audios to assist you on your journey. Whether you are a company, organization, or individual, we can help. Consider the possibility that you are ready to AWAKEN WITHIN. “I was desperate when I went on a search online to find Sandra. I was sad that the current job that I was working in was not allowing me to feel fulfilled or passionate; I felt hopeless. I also wanted to understand why I was attracting relationships that would bring me pain and make me feel uncared for. When I saw Sandra’s website, it truly resonated with what I believed in, and the website felt right. So I chose to give her a call and I have gone to 3 sessions so far that have truly changed my life. “Sandra! I have to thank you again. You’re so amazing. Working through a trigger was very hard today, but I had a strong breakthrough. Afterwards I was able to bounce back and get started on the ideas you gave me for my business. I’ve already updated my website, made two blogs, and posted a mothers day special!! You’ve really given me the confidence and the permission to start using my business and have a greater internet presence. In just the first couple of sessions I have seen great results. It is helpful to know my pattern cycle and I’ve really appreciated the books you’ve referred me to. I didn’t even know I was so disconnected from my spiritual self and I’m happy that you gave me the opportunity to find that connection again. Each session is packed with so much useful information that it helps me to record it and to take notes while we talk. You are a great teacher and it is a pleasure learning from someone that is so authentic and accessible. My relationships are going better and I already feel more balanced. 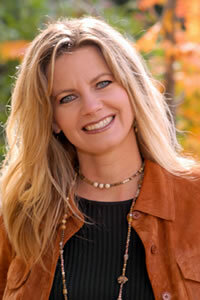 Hire Sandra to speak or give a Playshop at your location! Because of our unique process that targets limiting beliefs in your very first session as well as Rapid Eye Technology, healing can take place at a very rapid rate. Rapid Eye Technology (RET) is a form of energy medicine that simulates REM sleep or rapid eye movement, except you are conscious and awake. It has the ability to release trapped trauma and stress at a cellular level. Any issue that causes stress can be released and the body and mind retrained to respond differently. Rapid blinking in a RET session puts you in a state of balance which allows anything out of balance to release. Serving Salt Lake City, Provo, Orem, Ogden, and Davis, Weber and Salt Lake Counties, Utah. Also serving all locales via FaceTime, Skype, What’s App. Messenger and telephone sessions.